Show persuasive images with snappy descriptions & direct customers to the pages you want them to visit. PrestaShop web designers & store owners alike love the full-screen, bullet navigation & Ken Burns effects Magic Slideshow has to offer. Pan & zoom slides using Ken Burns effect on the page & in full screen. 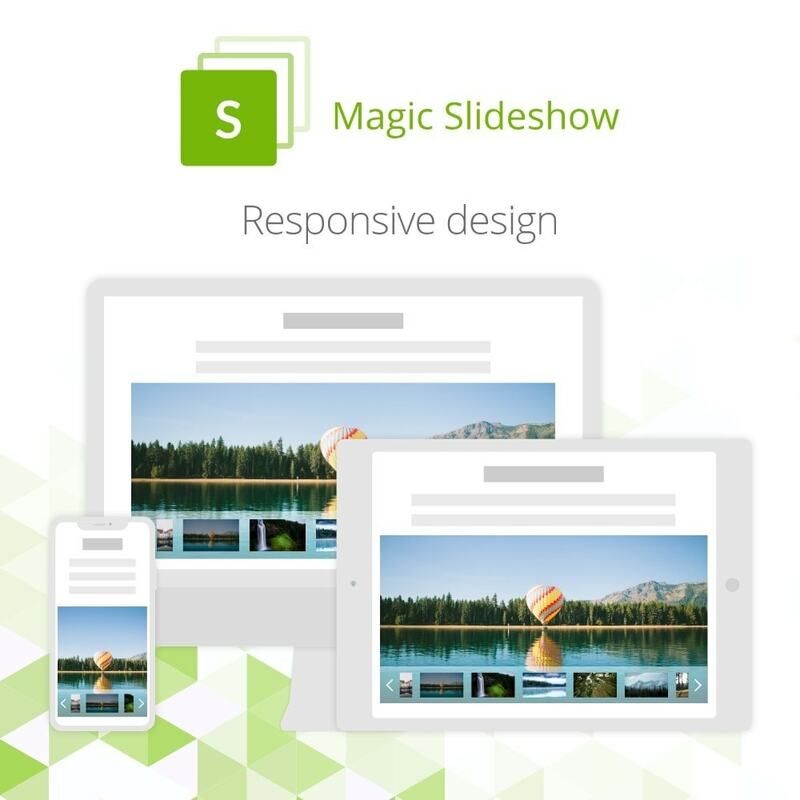 Created using responsive design, your slideshow images will automatically scale up/down to fit users screen. 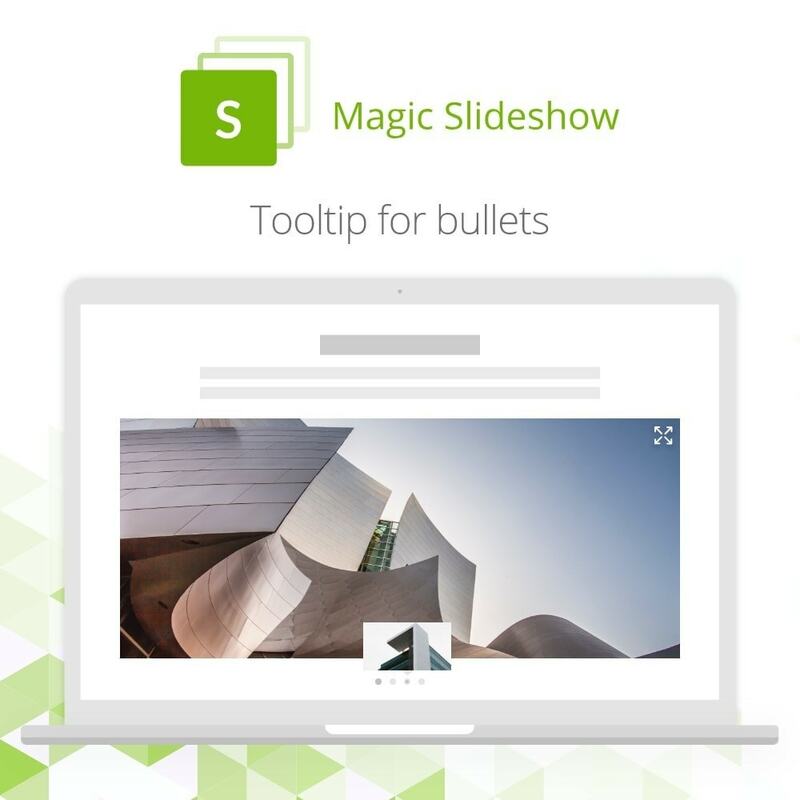 Navigate through slides using: thumbnail images, arrows, bullets or autoplay. Fade-up, cube & slide-out are just 3 of 16 available slide change effects. (Or use 'random' effect for all 16). Works everywhere - because Magic Slideshow is a jQuery image viewer. It works on all handheld devices (iPad, iPhone, Android). It also works on all popular web browsers (Firefox, Internet Explorer, Chrome, Opera, Safari). Admin > Modules and Services > Modules and Services > Magic Slideshow > Configure. Swipe left and right to swap slides on touch screen devices. Easily see products you want to promote. 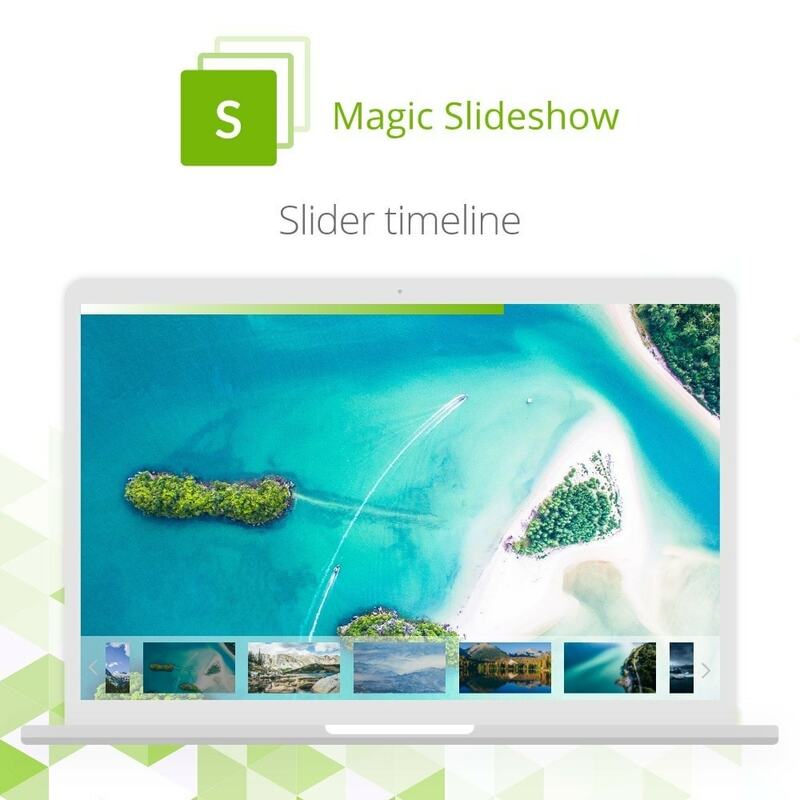 Enjoy slideshows on any device. Tooltip instantly appears when bullet hovered. 1. 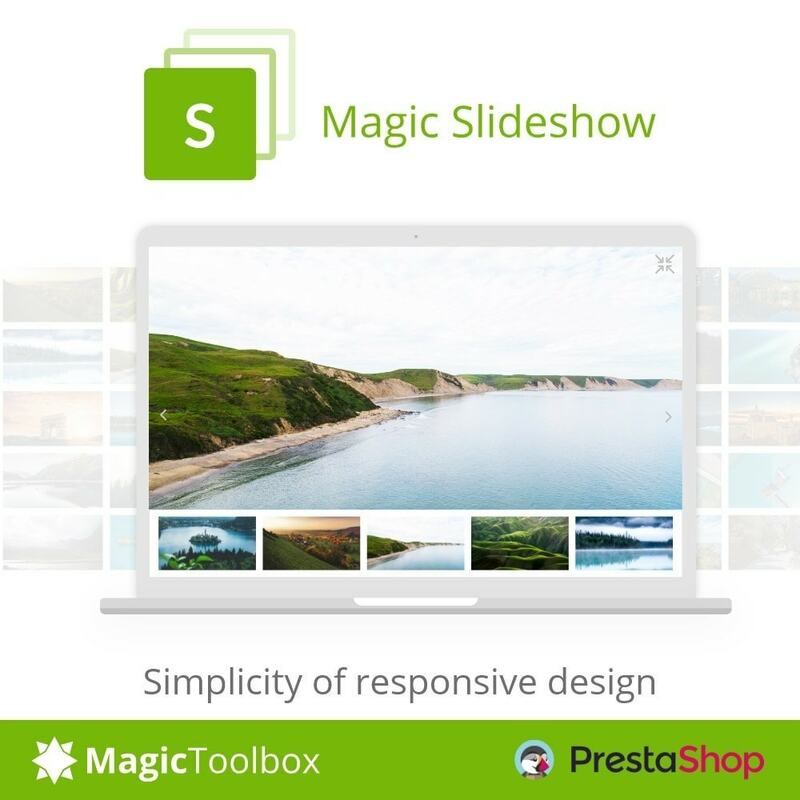 Download the PrestaShop module for Magic Slideshow. 2. Either upload it via your PrestaShop admin area [Modules > Add a module from my computer > Module file > Browse > Upload this module]. Or unzip the file on your computer and FTP the 'magicslideshow' folder to the /modules/ directory of your store, keeping the file and folder structure intact. 3. Activate the module via the Modules menu [Modules > Other Modules > Magic Slideshow > Install]. 4. Magic Slideshow is now installed! 1. Go to the module options page Admin > Modules > Modules > Magic Slideshow > Configure. 2. Go to 'Defaults' section > Miscellaneous > Include headers on all pages > Click 'tick' > Save settings. 3. Go to 'Home page/custom slideshow' section. 4. Upload slideshow images > Save settings. 5. Insert the slideshow shortcode [magicslideshow] where you want it to show on any CMS page. 6. 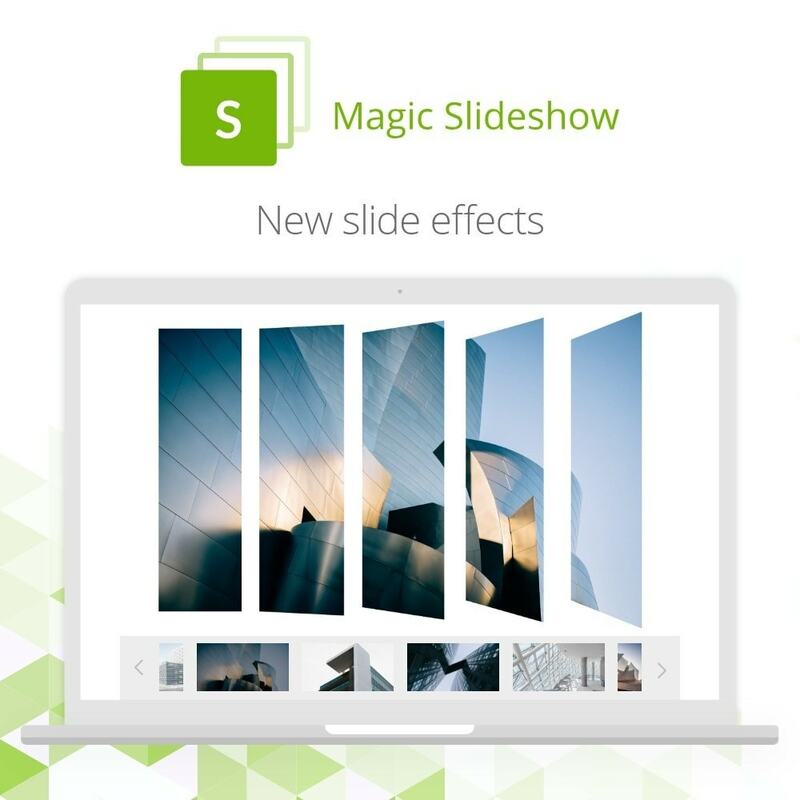 If you want to show slideshow with specific images only, please use shortcode [magicslideshow id=1,2,5] where 1, 2 and 5 are the numbers of images from the ID column.